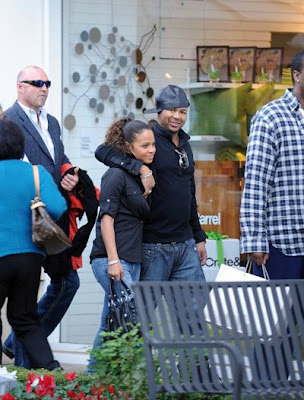 Fresh off the news that The-Dream has signed Christina Milian to a new joint deal with his Radio Killa records in association with Myspace Records/Interscope Records, The-Dream and Milian were spotted looking cozy in Cali. Is this a stunt? or are folks mixing biz and pleasure? Give us your take.